Unlike this question which is specific to just ATP, this one includes all energy carriers. When thinking of common energy carrying molecules, I can think of Adenosine triphosphate (ATP), Nicotinamide Adenine Dinucleotide (Phosphate) (NADH/NADPH), Flavin Adenine Dinucleotide (FADH2), S-adenosylmethionine, coenzyme-A (derived from cysteine, pantothenic acid and ATP), etc. Recalling exceptions, I can only think of biotin (carboxylated) and uridine diphosphate glucose. Just talking about ATP, we could have called its preference over others just a matter of chance. But when so many carriers contain adenine, there has to be some selection against other energy carriers (or adenine was so lucky?). Note that when saying 'common energy carriers', I exclude GTP, CTP, TTP and UTP since they are not very commonly used (or at least their use is confined to only some metabolic reactions, unlike ATP which finds its use in almost all metabolic reactions requiring energy). Why do the majority of energy carrier molecules contain adenine (or its derivative) instead of any other nucleobase? This question is open for discussion i.e. everybody is welcome to post their (scientifically backed-up) opinion as an answer while none of those answers will be selected because of lack of conclusive proofs, which are very likely to remain elusive forever. As @canadianer comments, this question is unanswerable, and it verges on being classified as ‘opinion-based’. However, because I do not find the answer from the OP appealing, I’ve set out a few points of my own. Hardly an answer — more a list of alternatives as food for thought. There seems nothing in the function of NAD that suggests the adenine ring could not have been replaced by another of the bases, and we know that the free energy of hydrolysis of the beta–gamma phosphodiester bonds of GTP, CTP and UTP can be utilized in an analogous way to that of ATP, so this doesn’t seem very likely. However one does wonder if a purine (rather than a pyrimidine) ring conveys some sort of advantage in that the other purine-based triphosphate, GTP, is used so widely in the (ancient and essential) process of protein biosynthesis. Perhaps the greater area of contact of the purine ring favoured interaction with proteins (if you don’t argue that these came later). 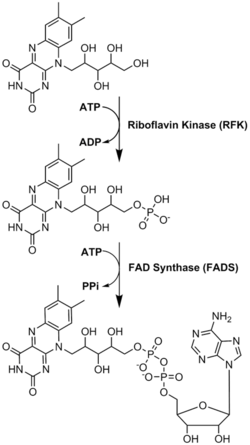 One might consider that early in the evolution of life the bases (or nucleosides and nucleotides) emerged one at a time, in which case the first might have been used for NAD etc. and stuck. One might also consider whether a two-base world preceded a four-base world. If A and U (but not G and C) were in the first RNA (which may have been single-stranded, so I don’t see that the GC content of contemporary thermophiles is relevant) then it may have been a choice between A and U, which A might have won because U is subject to spontaneous deamination (or for the protein-interaction argument mentioned above). In the absence of any more sophisticated explanation, then it could just be this. Once a choice was made and enzymes evolved to use NAD etc. the choice of adenine couldn’t be changed (or there was no strong enough functional advantage to doing so). Postscript: When and how did NAD appear on the scene? One of the reasons I don’t favour the OP’s answer is because it envisages NAD arising after DNA genomes and as a separate entity. I would suggest that it is likely that RNA preceded DNA and that catalytic RNA was responsible for some of the early oxido-reductions. (The first ones were probably catalysed by iron–sulphur centres, either inorganic or associated with simple proteins.) It seem feasible that the nicotinamide ring was an elaboration of a ribozyme which was ultimately almost completely replaced by protein. The adenosine was retained with the functional nicotinamide because it could interact better with the protein. Gross speculation, and it doesn’t explain why adenine was the chosen base, but an antidote to thinking NAD evolved in the fully grown form we see it today. One of the reasons why adenine is by far the most common component in energy carriers might be its less utility in DNA. Naitoh (2008) also describes this opinion. Keeping in mind the conditions on earth when first life would have evolved, this becomes easy to conceptualize. Naitoh (2008) compared RNAs of many different species of hyper-thermophiles and found that it contained a larger percentage of guanine and cytosine instead of adenine and uracil. They suggested that this could be because guanine and cytosine form stronger base pairs than adenine and uracil. Thus, while guanine and cytosine were being preferred as the constituents of DNA and/or RNA, adenine and uracil found place in other processes. While uracil would have become usable in polysaccharide generation reactions, adenine would have been a preferred choice for energy carrier molecules. PS: we could also apply the same hypothesis with a dsRNA virus which might have evolved GC rich RNA and left more AU content in its host. In this manner, this process seems more likely to cause AU buildup in the host. giving some free nucleotides as 1 GTP + 1 CTP + 9 ATP + 9 TTP. These extra ATP and TTP could be preferred in other reactions over GTP and CTP because of higher availability. Now, it could be mere chance or better functionality of adenine (as another answer says) due to which it was chosen over thymine (or uracil). 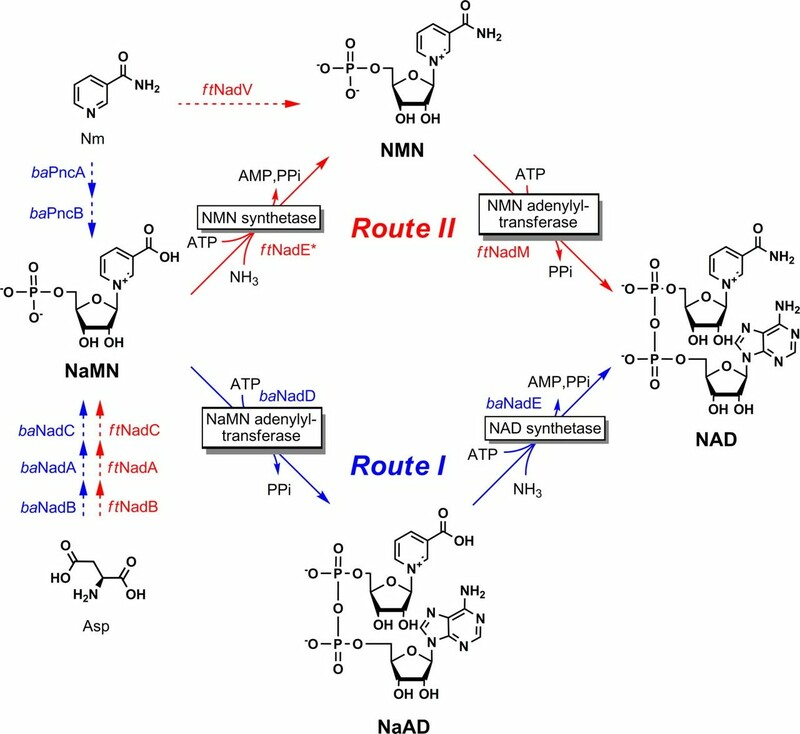 From this, we can suggest that ATP once acted as a substrate in a reaction whose product (or intermediate) was NAD+/FAD. This molecule turned out to be a useful energy carrying molecule. We could also explain the occurence of adenine in other energy carriers through this hypothesis. Another reason which might have played a crucial role in preference of adenine could be its greater stability over other nucleobases. Dividing nucleobases into purines (A, G) and pyrimidines (C, T, U), lets first look at the pyrimidines. It is a well established fact that pyrimidines are more prone to damage, especially damage caused by UV radiation. It is known that due to UV radiation, pyrimidines form dimers, such as cytosine dimer, thymine dimer and uracil dimer (see Wikipedia). Also, researches have concluded that once the aromaticity of a pyrimidine is lost, its C4 position becomes a hotspot for a tetrahedral intermediate, whose degradation can cause major problems including DNA strand breaks (Lin et al, 2014). Coming to purines, it has been shown that guanine is more prone to covalent attack than adenine. It could be due to the differing electronic charge distributions in the two bases. The sites O6, N7 (in major groove), N1, N2 and N3 (in minor groove) are the preferred sites for covalent attacks (Neidle, 2002). This point also gets support by the fact that the most common modified purines, xanthine and 7-methylguanine, are actually the modified forms of guanine (see Wikipedia), again meaning greater stability of adenine over guanine (although hypoxanthine is made from adenine, but the reaction is multi-step and requires many enzymes). The most obvious question which arises now is why are we talking about stability? If a nucleobase is more stable, it should be a preferred component of nucleic acid (which contradicts my own claim in another answer). To answer this part, we are talking about stability in different contexts in different answers. In this answer, we talk of the stability of the nucleobase itself, while in the other answer, we talk of the overall stability that the nucleobase provides to the nucleic acid. If a nucleobase is modified in a nucleic acid, it can be repaired easily through different repair mechanisms (think about repair mechanisms of strand break and dimers). On the other hand, if a free nucleobase (in the form of NTP or dNTP) is modified, it can cause serious damage to other components of the cell. Another point is that when a nucleobase is modified, its structure changes. This modified structure can prevent other proteins from recognizing this molecule. For example, if guanine would have been a component of NADH (which we would call NGDH), it might get modified to xanthine (forming NXDH...?). Now the NGDH binding sites of different proteins would not be able to recognize this molecule, and since this molecule is not a part of DNA, repair mechanisms would not help here much either. Hence, the most stable nucleobase (adenine) gets preference as the component of different energy carriers because of its stability too. P.S. : the point of stability can also explain why GTP is also used in some crucial metabolic reactions, like protein synthesis and TCA cycle, since guanine is the most stable nucleobase after adenine. Not the answer you're looking for? Browse other questions tagged evolution biochemistry molecular-evolution energy or ask your own question. Why are humans and almost every species on earth symmetrical?